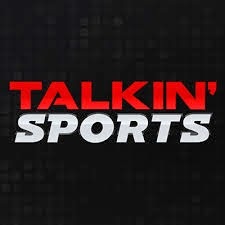 1Rad-Reader Reviews: TALKIN' SPORTS WITH PAT 7:30-8:00PM PST. LIVE CHAT TONIGHT!!! TALKIN' SPORTS WITH PAT 7:30-8:00PM PST. LIVE CHAT TONIGHT!!! 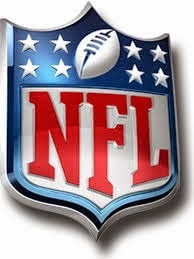 It seems that all everyone is talking about is the Wells report and how the Patriots were either fined too much or should not have been fined at all. My take is the organization should be fined and lose a draft pick, for granted it is not as bad as spy gate but they still knew. Weather Tom Brady should be suspended maybe two games, but can they just end it. No now we will have appeals and more talk. They are not even talking about anything else it seems on the radio and there still is NBA playoffs going on. Well the Cavaliers won tonight and on the to the Eastern Conference Finals. The second half really wasn't much of a game they just pulled away. Now the Clippers will be trying to the same with the Rockets, hope they can. In hockey that was a great game last night to bad someone had to lose. both playoff games should be good this weekend. Man what a blow to Jacksonville last week losing the third overall pick to a knee injury. Really wanted to see the play now will have to wait a year hope his recovery works out for him. There was a second big accident at Indy today a Josef Newgarden went airborne and flipped while he was still in the car. He did walk away at least to the ambulance. many years ago he would not have been so lucky . The safety of the cars are so much better now. Not really into horse racing but i do know that the Preakness is this weekend. Giancarlo Stanton the other night hit one of the longest home runs in Dodger stadium history. This young guy is really a fantastic player. There are quite a few this year and it is good for baseball. It is also good to see Chicago winning and even Houston, i like it when some of the other teams are up there instead of the same teams all the time.